So I guess I should start this post with a very happy new year to all my lovely readers. New Year's Eve passed by uneventfully here with all three kids tucked up in bed and shamefully I was asleep by 10.30 myself! Despite 2016 having been a turbulent year with political and world events and some family illness on a personal level I feel blessed to say we are all happy and well and looking forward to an exciting 2017. Every new year brings with it some reflection and resolutions of sorts. My youngest son starts full time school in a few days and I have to say I'm a bit emotional about it. The children are growing up and our roles as parents grow with them. It's a time of change for us all and a gentle push for me to think a little more about where my interests lie and how to move forwards with Rhubarb and Beans this coming year. I am constantly encouraged by my husband and some wonderful friends when I'm having a crisis of confidence to continue to share my passion of plant based whole food cooking. I get asked a lot about how I cook for my family on a daily basis to accommodate both a vegan and gluten free diet. I have learned a lot on this journey over the last few years and hope this blog can be an inspiration for people who find themselves stumped in the kitchen. A dedicated Rhubarb and Beans instagram feed where I can post quick picks of things that I cook or put together for my family and things that inspire me. This will include great local vegan eateries and recommendations. I aim to try to post daily over the next year, Rhubarb and Beans 365! I plan to write a few small articles for local publications with a hope this will lead to some more writing work in the future. I aim to blog more frequently, at least once a month but hopefully fortnightly as time allows. Please feel free to get in contact with any particular recipes you would like to see or and topics you would like covered and I'll do my best to accommodate. Anyway, enough talk and onto the recipe. A fairly simple dish which comes together in a little over an hour. 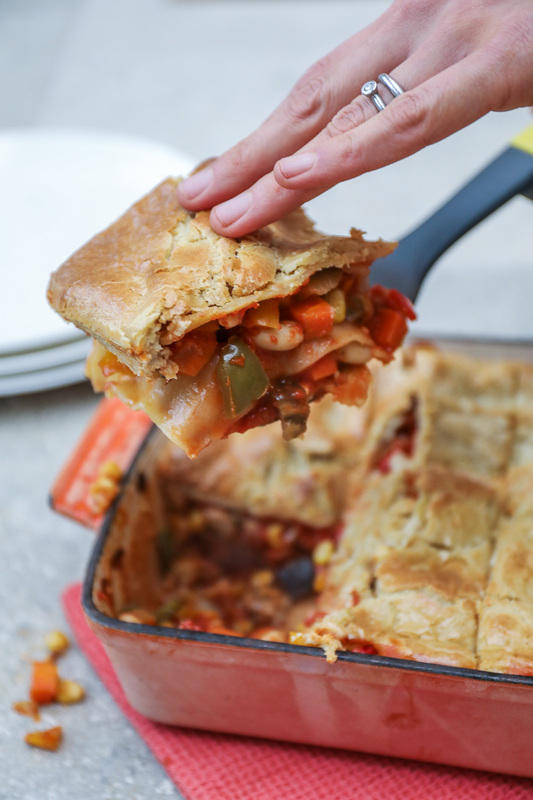 The vegetables in the mix can be altered to suit whatever you have in the fridge and the recipe can easily be halved or doubled to suit your family size. The cashew sauce bakes beautifully and forms an almost pastry like crust on the top (which we all fight over!). 3. Add the onion and garlic and sauté until soft. 4. Add the tinned tomatoes, tomato purée and basil and simmer for approx 10 mins until slightly reduced. 6. while the sauce is cooking heat the oil for the vegetable mixture in a large pan. 7. Add the onion and garlic and sauté for a few minutes until softening. 8. Add the remaining vegetables and continue to sauté until just cooked (should be a little al dente). 9. Stir through the cannelini beans and cook for a few minutes longer. 10. 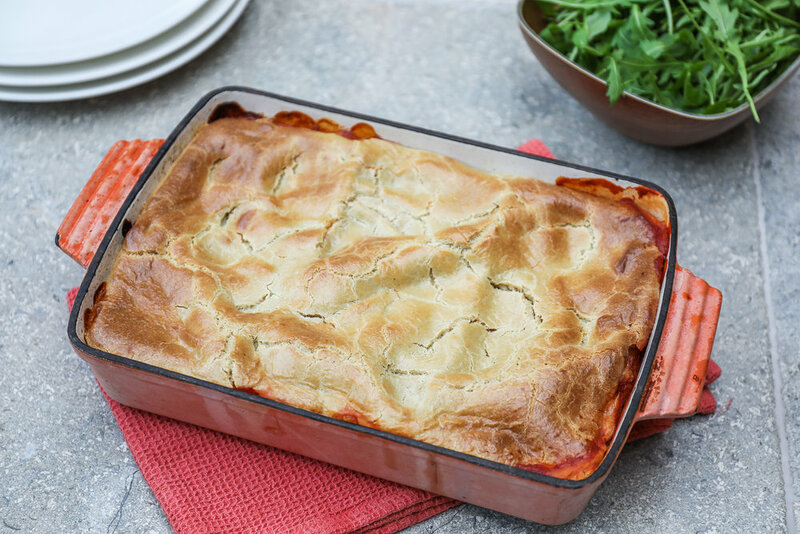 To assemble the lasagne cover the bottom of a large casserole style dish with tomato sauce. Cover with vegetable mixture then a layer of lasagne sheets. Continue to layer in the way until all ingredients are used, finishing with lasagne sheets. 11. Pour your cashew 'cheese sauce' over the top ensuring all pasta is covered. 12. Bake in a pre heated over at 180 ºC for approx 30-40 minutes until the top has browned, juices are bubbling and the pasta is cooked through. 13. Leave to rest for 5-10 minutes, serve and enjoy.